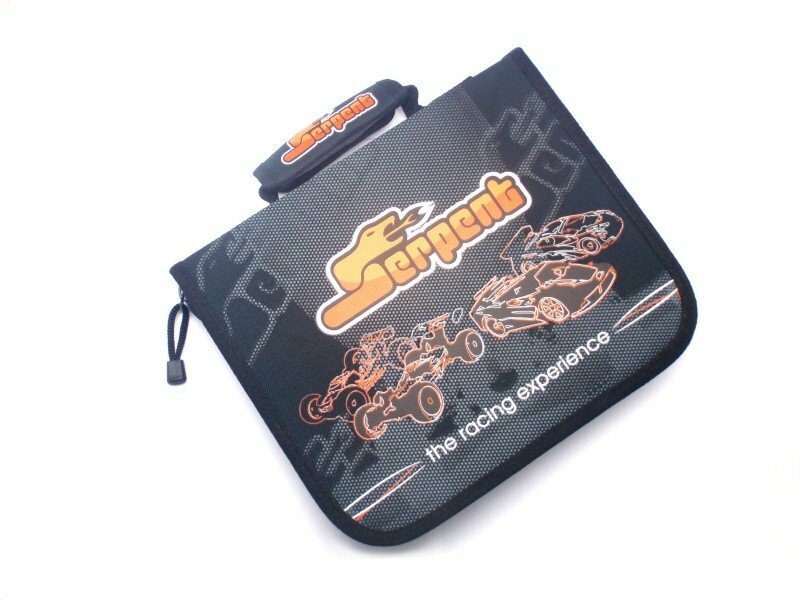 Strong toolbag with stylish Serpent graphics. Toolbag can carry your full range of tools, secured with the elastics bands. High quality zipper and padded carrying handle.